Operated by Ted Lee, an independent barber who used to work out of The Oven Cuttery and OTHRS Barbers, Sweeney Ted is the latest addition to a growing list of barbershops specialising in men's cuts and shaves. 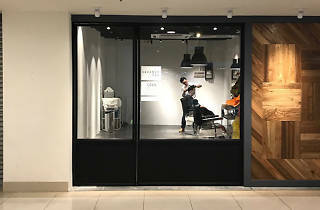 Having just opened in early May, the shop is still bare-looking with more furnishings to arrive in the coming months; but everything you need for a haircut, shave, or trim can be found here. Be sure to reserve some 'me' time when making an appointment; unlike services offered by traditional Indian barbers or mall-based Quick Cuts, haircuts here take around an hour, or more if you want to follow it up with a shave. 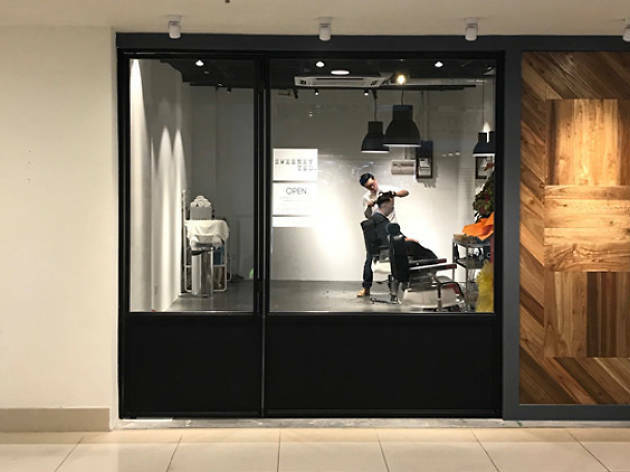 Services offered include a simple beard trim (RM25), a regular haircut (RM45), and a full-service haircut with hot and cold towel two-pass clean shave (RM90). Aside from barbering services, Sweeney Ted also stocks imported grooming products such as hair clay and beard oil from the Australian-based Burly Fellow, as well as soap, deodorants and solid cologne from US brand O'Douds.